Are you planning on job searching in 2019? As we move into the first quarter of 2019, many professionals in Canada and around the world are starting to get prepared for the upcoming year’s job openings. Time to stop procrastinating and get ready just in case you are laid off or just to make a career change. It never hurts to have an updated resume and cover letter to apply for the perfect job at a moment’s notice. If you are thinking of job hunting in the new year you may want to review my homepage to find out what we offer to help job seekers move their careers forward. Consider reviewing the services we provide along with pricing information. Before beginning your job search, you may want to take some time to reflect on your personal goals and priorities. Ask yourself: “what do I want out of my career?” The answer to this question will help to start you on the right job search path. From here, you will be able to start setting 2018 career goals. Through the establishment of realistic, specific and attainable goals, you will be able to realize what will make you happiest. 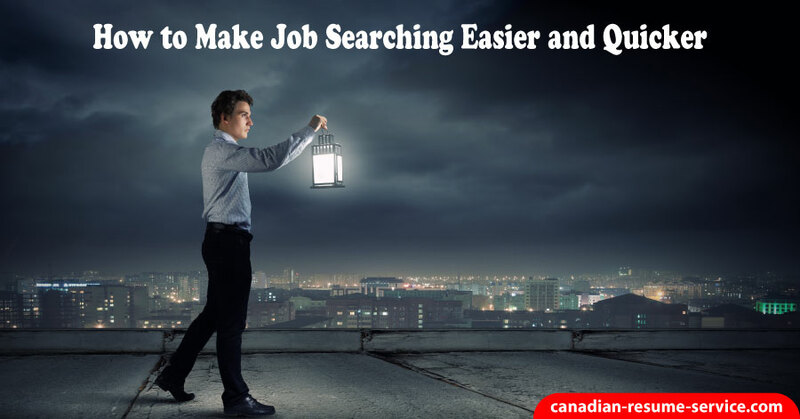 Below are simple and productive steps you can do to either jump-start your job search or at least make the process of finding a job easier. Get out and meet as many people as possible. Go to job fairs and talk to various companies’ hiring personnel and learn about new openings. There are so many job seekers who rely heavily on conducting their job search via the Internet. Posting to company websites and job boards should be only one method of your search. This is a passive approach – post, and then wait. You should complement this with some face-to-face job hunting. Determine what skills are valuable to the company and its managers. Then, figure out your talents as an employee, and match your skills and strongest work areas with what the company is looking for. Lastly, make sure to highlight and showcase these skills in your resume and cover letter. Some professional associations have job postings available to their members. Other times, you will find leads directly from other association members. Attend your association meetings and network with other professionals in your field who may know of job opportunities. Some refer to this as your “elevator speech”. An elevator pitch is essentially your answer to the question: “What do you do?” Your answer should be straightforward, succinct, and memorable. Make sure you set realistic 2019 career goals. For example, you could make a plan to contact 10 new companies per day or plan to send 20 resumes per week, or attend two job fairs per month. Whatever goals you make, make sure you stick to them. Having a positive attitude during your job search will take you a long way. When things look bleak, look at the positive side. Don’t get down on yourself. Remember that finding the perfect job takes time and some rejection. Focus on the good over the bad. For instance, if you get called for an interview, focus on that instead of the resumes you sent out that didn’t get a response. All phone calls need to be answered either via voicemail or personally, and your recorded message must be very professional. It should include your full name as well as when you will be checking and returning messages. You may consider only giving out your cell phone for your job search, as this will increase the likelihood of being able to answer when a company calls. Take care of yourself by exercising, eating healthy, and avoiding excessive alcohol. It will alleviate your mood and your stamina for your job search. Each day, set your plan of attack, determine the goals you want to obtain, and follow through, just like you would at a job. Set aside certain hours of the day each day to dedicate toward your job search activities. This way you’ll be sure to get more job search activities completed daily, increasing your odds that your job search will be successful. Preparation can’t be stressed enough. Think of tough interview questions the interviewer might ask you and come up with responses that include success stories that verify the authenticity of your response and, of course, show your value to the interviewer’s company. Concerns could include job hopping, a short stay at your last place of employment, 20 years with one company, or lack of experience. Whatever the obstacle, being prepared will help you overcome it. If you’d like more help with your interview preparation, we can help you with interview coaching. Having business cards with your name, city, and province, phone number, LinkedIn profile URL, twitter handle, and email is a professional and helpful job search tool. Invest in inexpensive business cards to hand out to others while you’re job searching, include your industry title. If you don’t have a LinkedIn profile, now is an excellent time to hire me to write your LinkedIn profile. Always send a letter of thanks to those who have helped you with any part of your job search. This includes networking contacts, references, association members, and decision makers. Send thank you letters to all of the people present at your job interviews. Make sure they know what positions you are applying and interviewing for. This way, your recommendations will be able to tailor their responses to meet the requirements of the particular jobs for which you’re interviewing. Accurately determine and assess your relevant skills, qualifications, accomplishments and the value you can bring to a company. Make sure your resume makes an excellent first impression and focuses on your relevant outstanding credentials and qualifications that target the position. Take control of your career destiny by implementing a few positive changes. Some of the above suggestions may seem like little things, but they should not be overlooked. Sometimes it is the little things you do while job searching that matter the most. Don’t forget to recharge your energy as needed. Seeking professional help from a resume writing service, like ours, is advised. I know what needs to be included on a resume or curriculum vitae (CV) for jobs in a variety of different industries. If you’d like some assistance with preparing your resume for a job search, we’d be happy to help! Your imagination only limits the avenues of job hunting!